It has been over week since the big day and the Duchess of Cambridge is quickly emerging as one of the nation’s most beloved fashion icons. Liz Jones discloses her brands of choice in today’s Daily Mail including Golden Goose PR client Robinson Pelham. 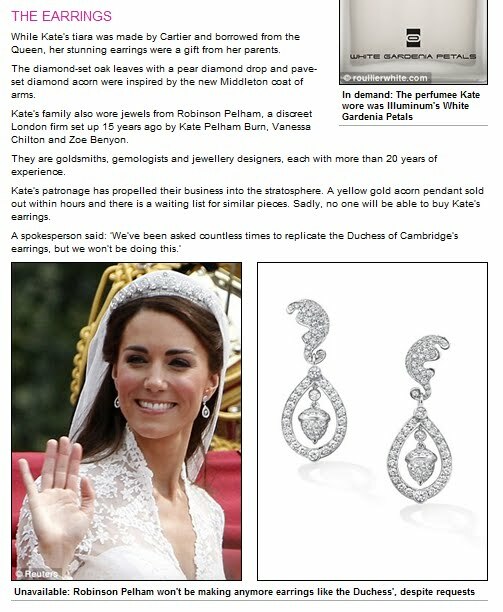 The London jewellers designed and created the diamond earrings worn by Kate for her marriage to HRH Prince William of Wales.